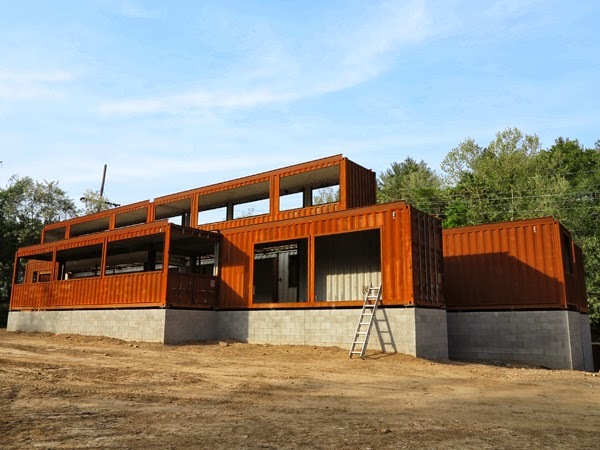 Expected to open in Fall 2014, the new restaurant, community center, event center & home to Asheville Greenworks (already going as of 2013), the Smoky Park Supper Club @ 233 Riverside Drive will be the north community anchor of the River Arts District! This project is a partnership of Matt Logan & Kristie Quinn, of 5 Walnut fame with help from Mark Rosenstein of The Marketplace Restaurant & Green Opportunities Kitchen Ready Program. 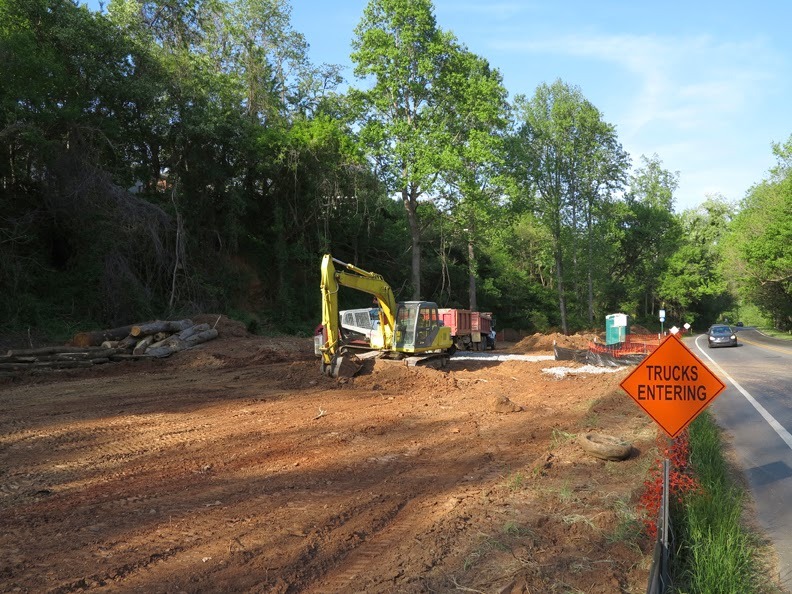 Over @ 173 Amboy Road, work has begun on the construction of the Smoky Mountain Adventure Center. 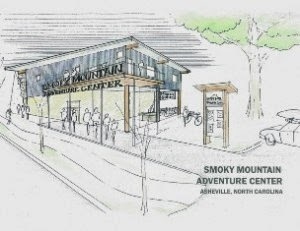 Stewart Cowles, of Climbmax Indoor Climbing Center, for 20 years on Wall Street, downtown Asheville, sees the AVL Riverfront as the next logical location for a new adventure center that will offer concierge services for bike, boat & climbing businesses… a one stop outdoor adventure facility! 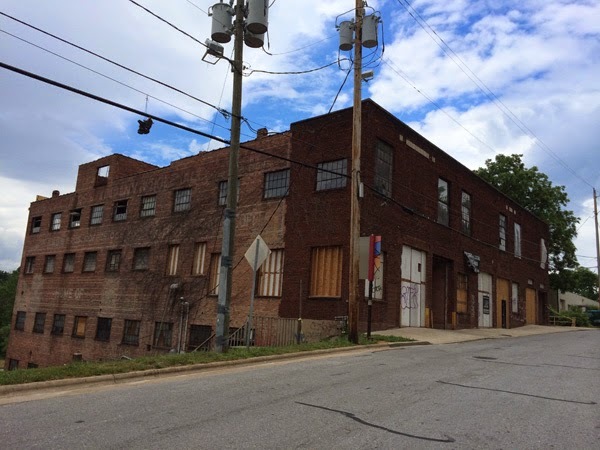 The 55,000 sq ft building @ 95 / 97 Roberts Street has been purchased by Jesse Plaster, a somewhat local architect, who says it is being rehabbed to house affordable artist studios and some commercial tenants. Jesse renovated 13 Eagle Street in Downtown Asheville, now home to Limones Restaurant. We look forward to seeing this one develop. 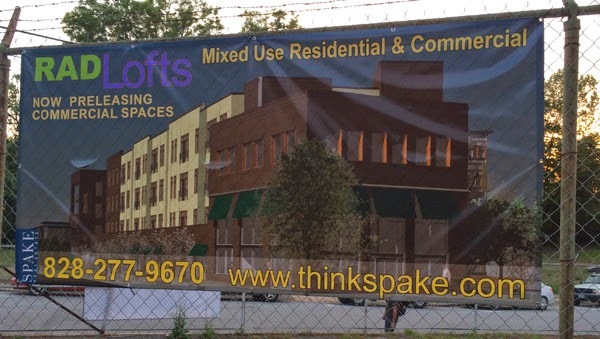 RAD Lofts is a mixed use development being planned for the Dave Steel 3.25 acres, in the heart of the River Arts District, by Harry Pilos of Delphi Development. 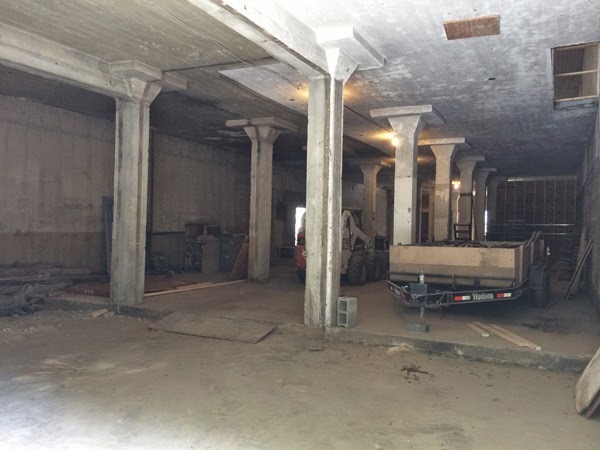 When completed, it will provide 209 apartments and a mix of commercial retail & office spaces with underground parking. Currently still in the financing stages, this project was approved by Asheville City Council in 2013. Stay tuned to see what happens!